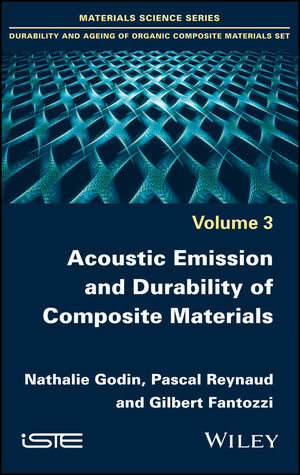 In this book, two kinds of analysis based on acoustic emission recorded during mechanical tests are investigated. In the first, individual, analysis, acoustic signature of each damage mechanism is characterized. So with a clustering method, AE signals that have similar shapes or similar features can be group together into a cluster. Afterwards, each cluster can be linked with a main damage. The second analysis is based on a global AE analysis, on the investigation of liberated energy, with a view to identify a critical point. So beyond this characteristic point, the criticality can be modeled with a power-law in order to evaluate time to failure. Nathalie Godin, MATEIS INSA, France. Gilbert Fantozzi, MATEIS INSA, France. Pascal Reynaud, CNRS, MATEIS INSA, France.